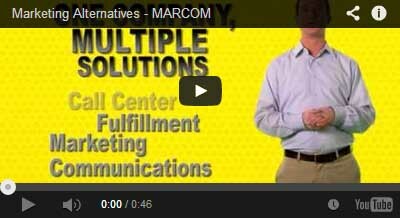 DELIVERING RESULTS WITH FLEXIBLE, TURNKEY SOLUTIONS. PROPRIETARY TECHNOLOGY CUSTOMIZED TO YOUR NEEDS. PROVIDING A SUPERIOR CUSTOMER EXPERIENCE...EVERY TIME. PLEASE READ THIS LEGAL STATEMENT CAREFULLY BEFORE USING THIS WEBSITE AND ITS CONTENTS AS IT GOVERNS YOUR USE OF THIS WEBSITE AND ITS CONTENTS. By accessing, browsing and/or using this website (the “Website”) and its content, you are acknowledging your consent to these terms and conditions and agree to be bound by this "Legal Statement/Terms and Conditions of Website and Content Use". you must include on any copies of the Content any and all legends, copyright, proprietary or other notices that appear on such Content or if no such legends or notices appear on such Content, then the following copyright notice must appear on all such copies: "Copyright © 2015 MAI. All rights reserved worldwide". Except as authorized in this paragraph, you are not being granted a license under any copyright, trademark, patent or other intellectual property or other proprietary right in or to the Content. The trademarks and service marks that appear on this Website are the exclusive property of MAI and no use or other rights are granted with respect to these trademarks without the express, written approval of MAI. Additionally, logos, trademarks and service marks of third parties may also appear on this Website, and such are the exclusive property of their respective owners and no use or other rights are granted with respect to these trademarks without the express, written approval of the trademark/service mark owner. As a convenience to you, MAI may provide links to non- MAI websites solely to direct you to information on topics that may be useful or of interest to you. MAI has not reviewed all of the Websites linked to this Website. MAI has no control over the content on such non-MAI Websites and is not responsible for any off-site pages or any other Websites linked to this Website. The inclusion of any link to such a Website does not imply endorsement by MAI of the Website or its contents. Your linking to any other offsite pages or other Websites is at your own risk. THIS WEBSITE AND THE CONTENT ON THIS WEBSITE ARE PROVIDED BY MAI ON AN "AS IS, AS AVAILABLE" BASIS. MAI MAKES NO REPRESENTATIONS, WARRANTIES OR CONDITIONS OF ANY KIND, EXPRESS OR IMPLIED, AS TO THE OPERATION OF THIS WEBSITE AND/OR THE CONTENT INCLUDED ON THIS WEBSITE. TO THE FULLEST EXTENT PERMISSIBLE BY APPLICABLE LAW, MAI DISCLAIMS ALL WARRANTIES OR CONDITIONS OF MERCHANTABILITY, FITNESS FOR ORDINARY AND/OR PARTICULAR PURPOSES, TITLE, NON-INFRINGEMENT, PERFORMANCE, FUNCTION OR DOCUMENTATION OF THE CONTENT. THIS WEBSITE AND THE CONTENT ARE PROVIDED WITH ALL FAULTS, AND THE ENTIRE RISK AS TO SATISFACTORY QUALITY, PERFORMANCE, ACCURACY AND EFFORT IS WITH YOU. IN ADDITION, MAI DOES NOT REPRESENT OR WARRANT THAT ACCESS TO THIS WEB SITE AND THE CONTENT ACCESSIBLE VIA THIS WEBSITE ARE UNINTERRUPTED, ACCURATE, COMPLETE, CURRENT OR ERROR-FREE. FURTHERMORE, MAI DOES NOT REPRESENT OR WARRANT THAT THIS WEBSITE, THE CONTENT ON THIS WEBSITE AND/OR ITS FILES WILL BE SECURED AND/OR COMPATIBLE WITH YOUR BROWSER OR OTHER WEB SITE-ACCESSING PROGRAM. MAI WILL NOT BE LIABLE FOR ANY DAMAGES OF ANY KIND ARISING FROM YOUR ACCESS TO AND/OR USE OF THIS WEBSITE AND THE CONTENT, INCLUDING BUT NOT LIMITED TO DIRECT, INDIRECT, INCIDENTAL, SPECIAL, PUNITIVE AND CONSEQUENTIAL DAMAGES. Website users are strictly prohibited from using this Website and the Content for fraudulent or illegal purposes or for posting or transmitting to or from this Website any unlawful, threatening, libelous, defamatory, inflammatory, pornographic or profane communications and/or materials or any communications and/or materials that could give rise to civil or criminal liability under law. You agree not to take any action that tampers or interferes with this Website and the Content on this Website. a statement by you made under penalty of perjury, that the above information in your Notice is accurate and that you are the copyright or intellectual property owner or authorized to act on the copyright or intellectual property owner's behalf. MAI may terminate this Website and/or your access to this Website and the Content herein for any reason at any time without notice to you. In the event of any such termination, MAI shall have no liability to you whatsoever. Copyright © 2015 MAI. All rights reserved worldwide.